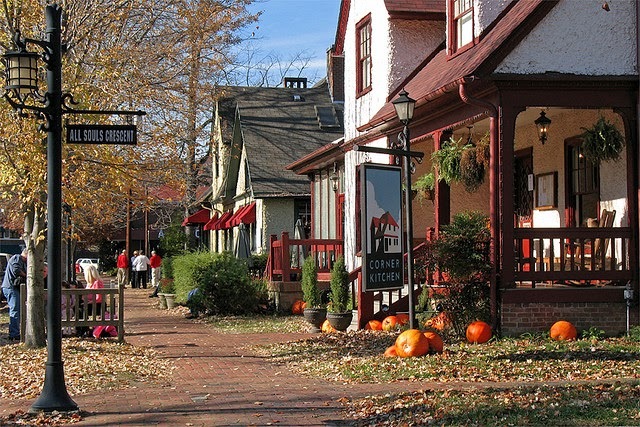 About 20 minutes east of the Inn on Mill Creek B&B is Historic Biltmore Village, a cluster of shops, art galleries and restaurants in what was a planned community of English-style homes built in the 1890s. Biltmore Village is just across the street from the entrance to Biltmore Estate in Asheville, NC, where George Washington Vanderbilt and his family lived. 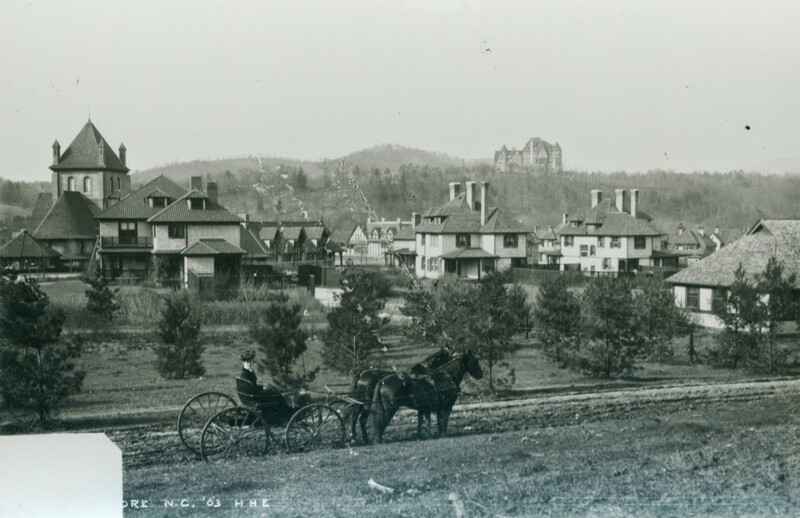 Mr. Vanderbilt played an integral role in the construction of Biltmore Village, which includes a church – the Cathedral of All Souls – that he had built and where his daughter, Cornelia, was married. Now that Biltmore Village is a cool little “neighborhood” of shops and galleries, as well as dining spots, there are different events in the historic village throughout the year. One of those events is the annual Art & Craft Fair, now in its 42nd year. The Biltmore Village Art & Craft Fair is being presented by two Biltmore Village galleries, New Morning Gallery and Bellagio, and features more than 100 artisans and craftspeople. It is a high-quality art and craft fair, which fits the atmosphere of Biltmore Village perfectly. 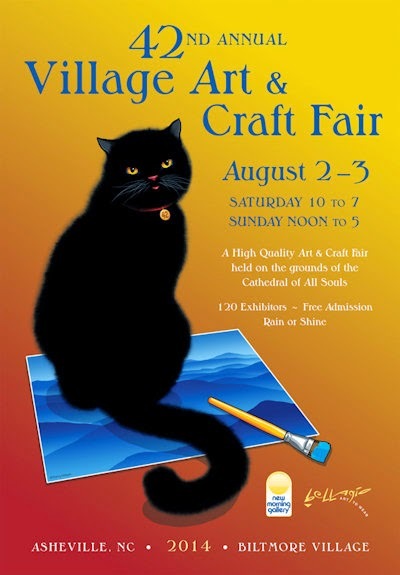 The hours for the Biltmore Village Art & Craft Fair are 10am-7pm on Saturday, August 2, and 12pm-5pm on Sunday, August 3, and the Fair is being held outdoors on the grounds of All Souls Cathedral. While you’re visiting the Fair, be sure to check out some of the nearby local restaurants, including Corner Kitchen, Rezaz, Fig Bistro and Cantina, among others. This entry was posted in Uncategorized and tagged Asheville, festivals and special events by Inn on Mill Creek. Bookmark the permalink.